One of the benefits of knowing locals where you travel is that first hand recommendations on places to eat. The Hungry Cat was one of them, a restaurant recommended by my friend’s cousin J. 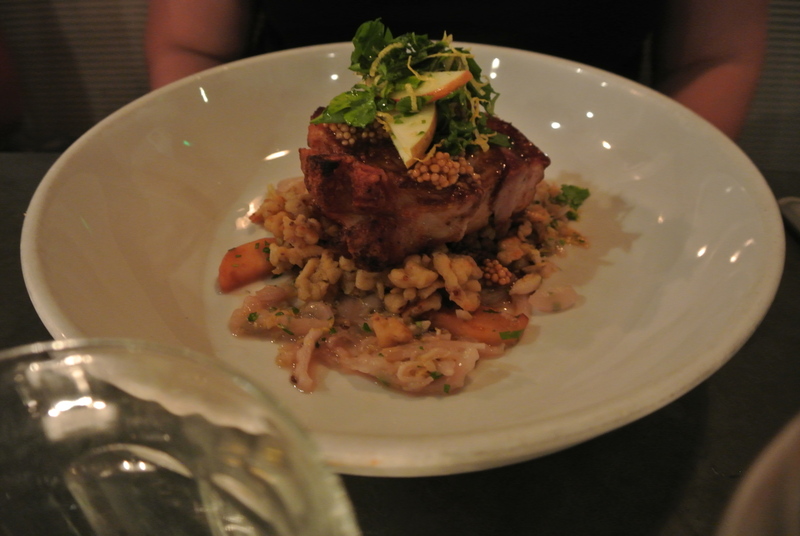 There are a few different locations of Hungry Cat but we went to the Santa Monica locale. 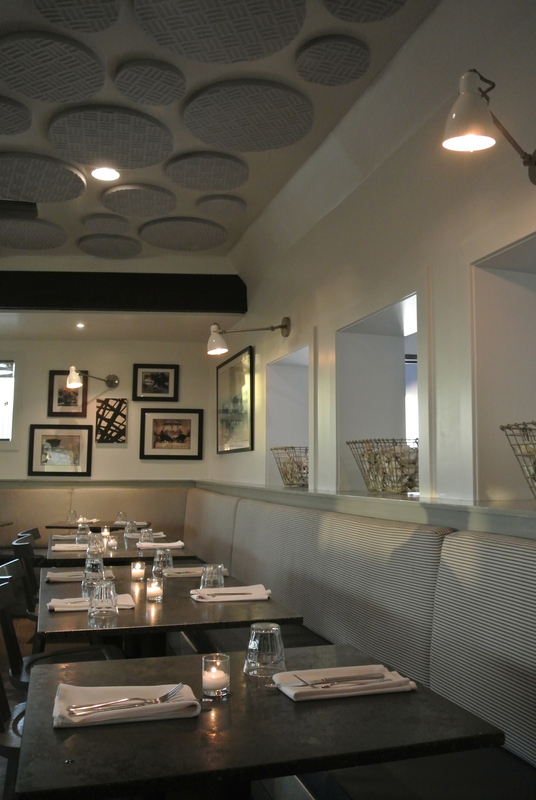 Known for the seafood and located right across from the beach and ocean, the vibe was coastal casual, almost a homey feel. 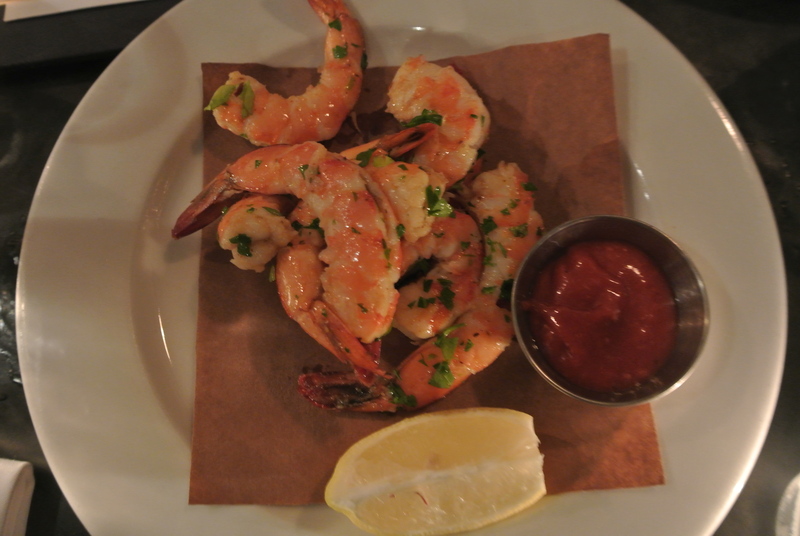 We started the night with a serving of peel and eat shrimp, jumbo-sized and sweet tasting. 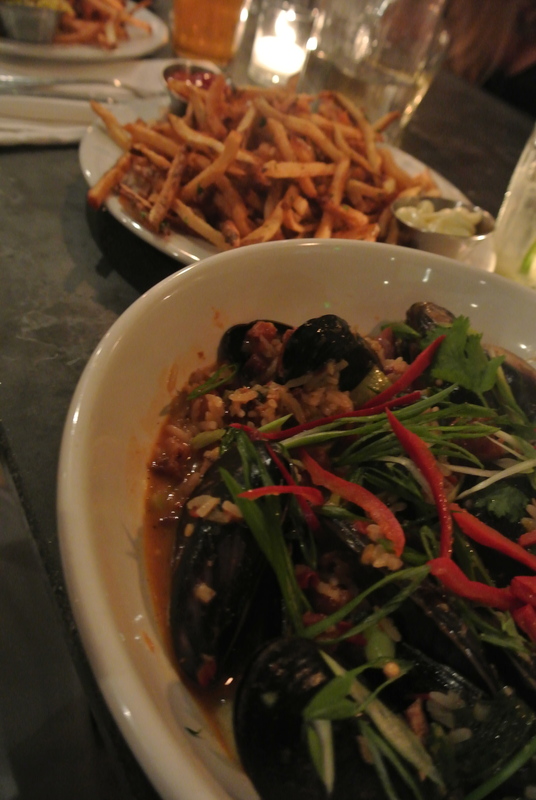 I ordered the braised mussels made with a spicy broth as opposed to the traditional white wine version – these were just as delicious! 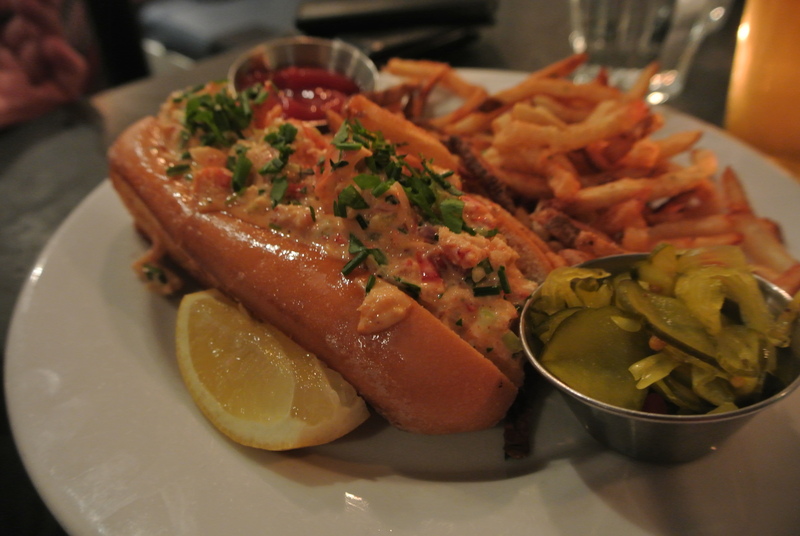 Although an east coast thing, the lobster roll looked yummy stuffed in a toasted challah bun. Desserts were just as great but the seafood is why you want to come and eat here. 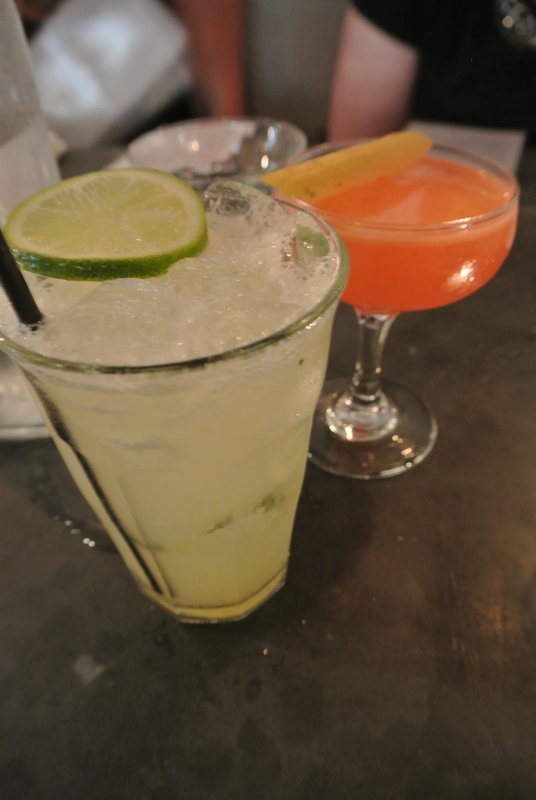 Cocktails to start the night. Appetizer – peel n’ eat shrimp. Braised mussels with fried potatoes. Maine lobster roll with fried potatoes. 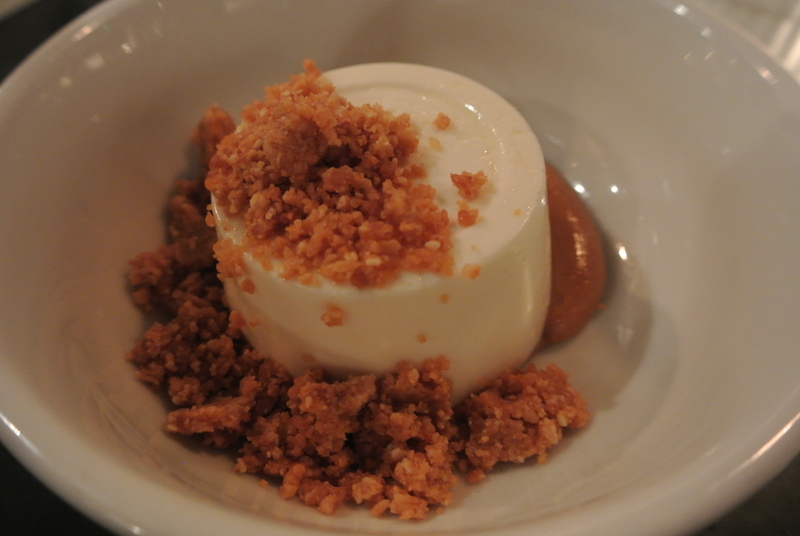 Hungry cat’s version of cheese cake – panna cotta style. 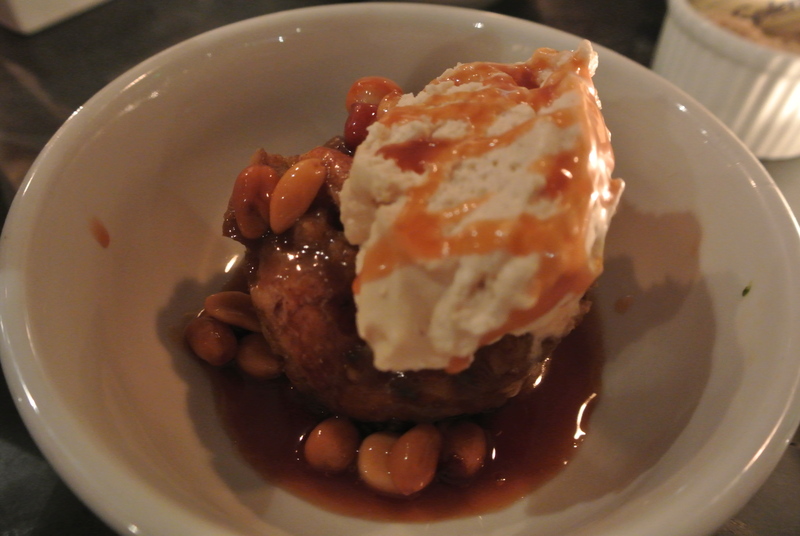 Hungry cat’s bread pudding with caramel, roasted peanuts and ice cream. 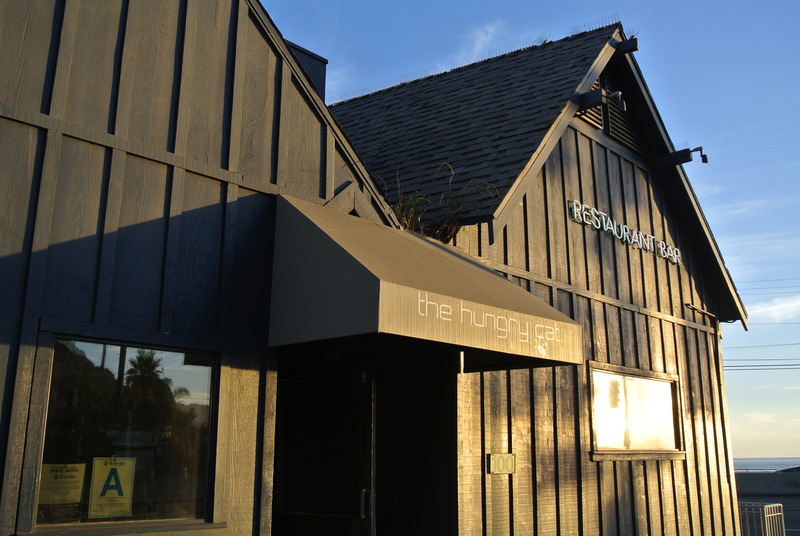 The Hungry Cat – Santa Monica.